Hoist or Balancer? Let us help you decide. Hoists and balancers are the muscle of lifting systems and are the most integral part of the system. That’s why we offer the most extensive line of hoists and air balancers of any provider in Manitoba and Saskatchewan. We partner with several manufacturers to be able to offer the perfect solution for your exact needs – every time. The first guiding principle behind everything we design and sell for is operator safety. At Acculift, we are committed to protecting your co-workers and having a hoist that fits your needs is paramount to a safe lift. We also embrace the drive for productivity – our range of reliable air and electric chain hoists are proven to increase workplace efficiency and performance. Safe and fast is our target. 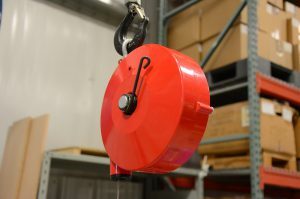 Hoists: Hoists are primarily used to move a load or product. 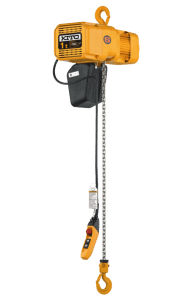 Any device used for lifting or lowering a load by means of a drum or lift-wheel around which rope or chain wraps is considered a hoist. It may be manually operated, electrically or pneumatically driven and may use chain, fiber or wire rope as its lifting medium. The best are silent running, minimal vibration and durable but you need to consider your load and function when selecting a hoist. Size may be your biggest consideration if the hoist is moved to various job sites or space is tight. Lift capacity is usually the primary concern but have you considered manual versus electric operation? These are all important considerations when selecting a hoist for your operation. Duty cycle is another consideration. We partner with many hoist providers and look for the best one to suit your needs. Kito, Gorbel, and EMH all manufacture hoists of varying strengths and sizes. We’ll help you select one that best matches your application. Air or Spring Balancer: If you are manipulating a heavy tool often in your work cell, a balancer may be right for you. Balancers are designed to hold a specific weight item in a “floating” mode. If the load matches the balancer than the object doesn’t move unless directed to by the operator. If the load is heavier than what the balancer is rated for it sinks, if it’s lighter, it rises. Balancers are very good at making tools “lighter” (by removing the operator’s need to lift the tool) and make tools easier to manipulate. Air balancers use compressed air to power the lift while spring balancers use an internal spring to lift (or balance) the load. Watch this video to see a balancer in action with a heavy drill. Did you know? The most common wear point on a hoist are the brakes. When choosing a hoist always look for one with quality brakes. Better yet, get a hoist with a VFD (variable frequency drive) to soften the wear the brakes endure. Suspension: How’s it hanging? How is the crane supported? Type of beam the hoist or air balancer will run on. 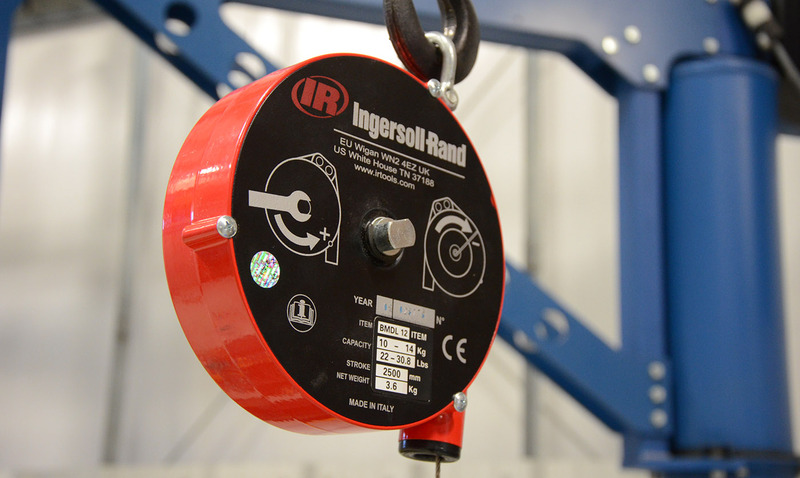 Want to see a hoists or air balancers in action? We can show you!